Serenity School provides opportunities for pupils to make progress academically when they may have been excluded and without education as a consequence of their behaviour difficulties in other settings. In addition to this our holistic approach to learning and childhood development enables pupils to begin steadily to build resilience and independent and therefore fully accessing education and enjoying learning. We do this through a consistent application of our Socio-Education Model whereby we measure both academic and non-academic outcomes. Through a robust assessment model we are able to accurately plot a performance flight path for each individual pupil based on data upon entry and where each pupil will be at particular stages throughout their education. It is with confidence that we can ensure successful outcomes for pupils in year, as well as at the end of Year 9 and Year 11. Each pupil and their family will receive a targeted plan that maps out where their performance should be in any given term or year from Year 7 – 11. 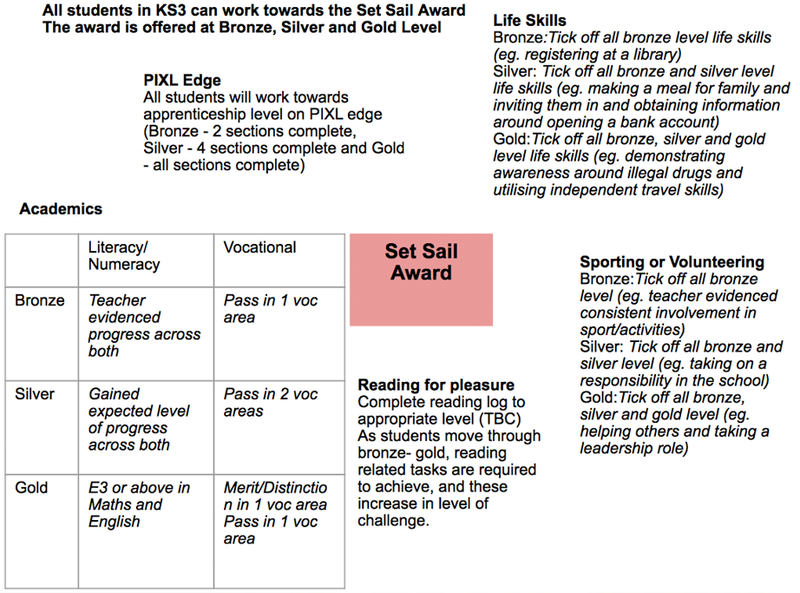 At Key Stage 3 pupils are building strong foundations in literacy and numeracy, understanding themselves as well as working towards Gold, Silver or Bronze in the ‘Lets Sail Award’. This award recognises the personal development and progress of each pupil and is a highly sought after award by the students. This award ensures that pupils are already achieving qualifications recognised by college and apprenticeship providers at a young age and builds confidence to go further and achieve greater at GCSE and L1/L2 qualifications. 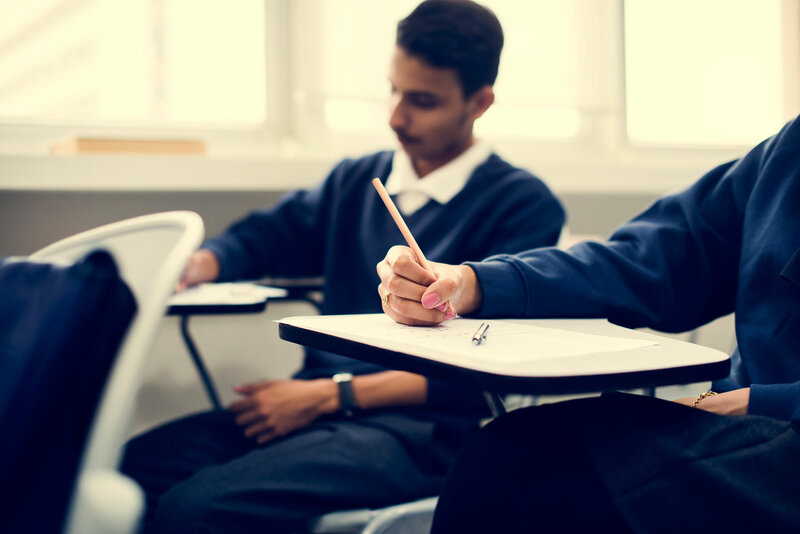 At Key Stage 4 all pupils are set the challenging task of achieving between five and eight GCSE or equivalent qualifications with the support and guidance of our specialist staff team. Please refer to Curriculum map in download section for the full range of KS4 subjects and levels of study.